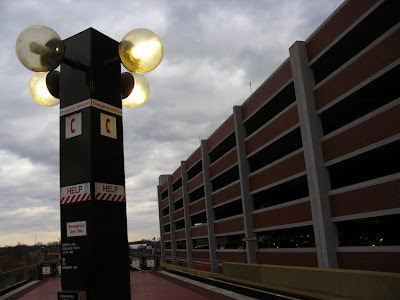 I took this picture at 5:30 p.m. on Oct. 19 at the Rockville station. You'll notice the board says three 8-car trains are coming. The problem is the train on the platform that was supposed to be an 8-car train and the next train, which was also supposed to be an 8-car train, were both 6-car trains. So when Metro says they've kept the same number of 8-car trains in circulation, they must mean their arrival boards say 8-car trains are coming, but in reality there are no more 8-car trains. I can't tell you the last time I saw an 8-car train on the Red Line. David is not the only one seeing an apparent reduction in 8-car trains. If you think about it, on your way home tonight, see if those advertised 8-car trains really are. On a regular weekday morning rush hour, there are 44 trains (after the accident it was 37-39) scheduled to be in service by 8:00 a.m. on the Red Line. Of those 44, 11 are 8-car trains, this has not changed. When we have a shortage of cars, fewer trains may be released, but there will still be the same number of 8-car trains. 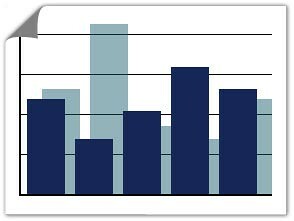 When you set your own metrics, and then measure your performance yourself, it's pretty easy to meet the low expectations you set for yourself. Metro will point to the data they've fudged when they're called on this. The PIDS are always more fluky at or near the end of the lines. This happens quite often at stations near the end of a line. At Dunn Loring (second stop from the end), it will often say 8 car train is next and then switch to 6-car after train leaves Vienna (about 3 min). It's annoying and typical metro, but that's the explanation I'd give for why this happened at Rockville. Maybe it really WAS a two-car train, and just got rear-ended by a six-car train. This IS Metro, you know! I use the Red and Orange line each day to and from work, and take an 8 car train home on the Red Line at least two or three times a week around 6:15-6:30. There's usually at least one 8-car train on the board in the morning and evening. The 8 car trains are so common that I've fallen into a routine of checking the screen as soon as I transfer at Metro Center to see if I can stand at the back of the platform and snag a seat on the 7th or 8th car while all the suckers are crowded near the front. Works out a lot of the time. I'm with the last anonymous. I check the upcoming trains list on my Blackberry as I'm walking to Metro Center, and if I can catch an 8 car train, I'll head to the back of the platform. At least at Metro Center, I've never seen it list an 8-car train coming and have it not be true. I see 2-car trains listed all the time, and those have always turned out to be 8-car trains for me. I love the Metro update. You're making the same number of eight-car trains... but not sending them out? How exactly does this work? I caught the Red Line coming downtown from Bethesda last night around 9:45. 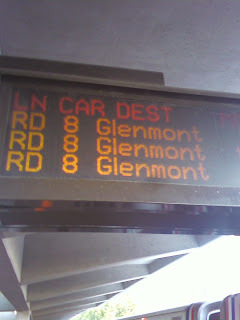 The train to Glenmont was listed as a 2-car train as well. It likely means that if there's a car shortage they'll keep the number of 8-car trains constant at 11, but lose a few 6-car trains. I've found that the 8 cars trains are sometimes listed as 2 car trains, too. I'm just glad that there are no longer 4 car trains, as there were on yellow when I moved down here in 2006!